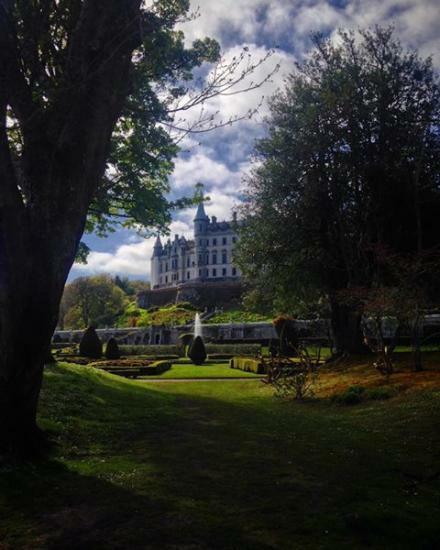 Due to the number of visitors in the area Dunrobin Castle have decided that on Sundays they will open from 10.30am instead of midday. The castle is now open from 10.30 every day and last entry at 16.00. This then changes in June to opening at 10.00 and 16.30 last entry. Valuable Statue Of Mercury Stolen From Dunrobin Castle, Golspie POLICE in Golspie are appealing for information after a large garden statue was stolen from Dunrobin Castle gardens, the home of Lord Strathnaver of Sutherland. The statue, which is approx 6ft and weighs approx 440kg, is a high value item, believed to worth somewhere in the region of between twenty to thirty thousand pounds.